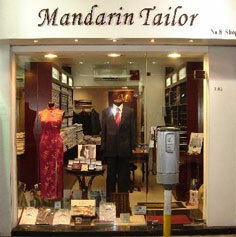 Mandarin Tailor have been crafting custom tailored clothing for men and women. The label represents superior quality, close attention to detail and meticulous service. Our suits are made from the finest materials. To stay ahead of the curve, in our constant pursuit of perfection, the management team creates a culture of quality, detail, and timeliness to ensure that you order is fulfilled to your highest expectations. Furthermore, our use of technology, such as digital photography, and a newly acquired workshop allows us to increase us to ensure our promise for high quality deliverables are perfectly tailored with accuracy, efficiency, and style.